Summer is my favourite time of year for creative nail art but in winters using bright colours is my favourite thing to do. 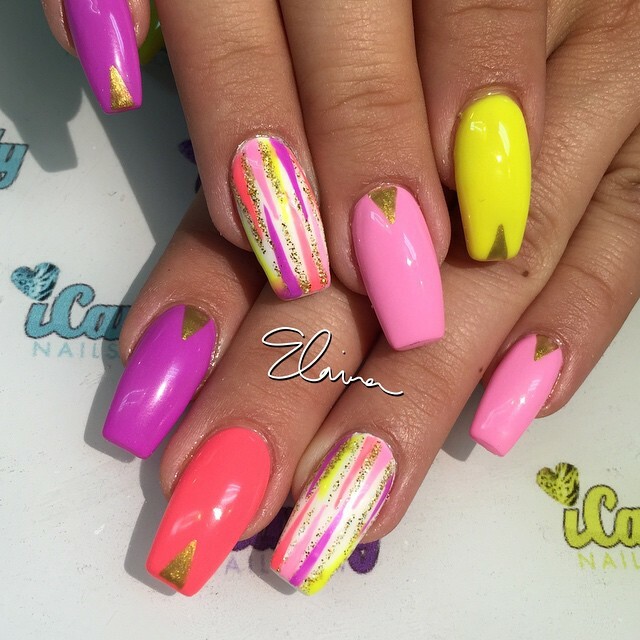 The colours are bright, and the designs are wild - it's the perfect way to let your personality shine through your nails, and make a statement. Inspiration can come from anywhere; whether it's your favourite summer food or the palm-trees on the beach, don't hold back and get creative! 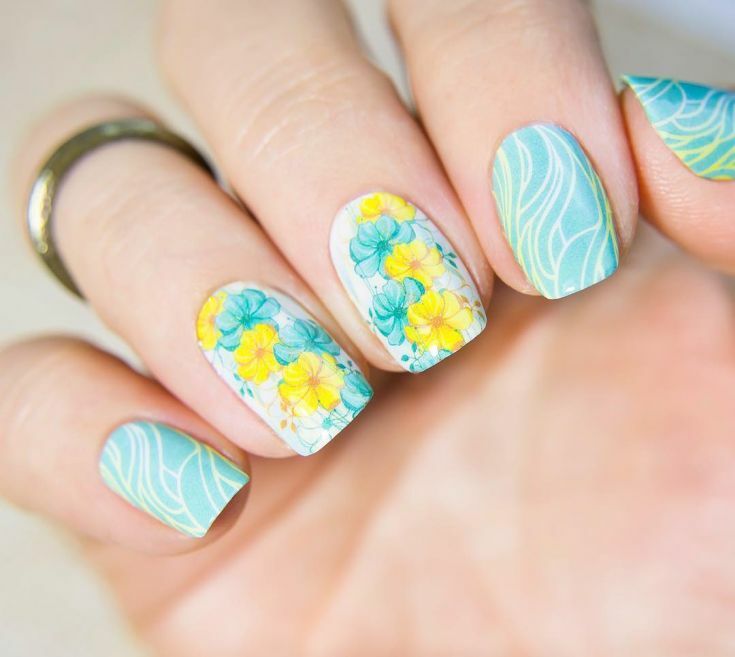 Here are 13 creatively colourful nail art designs that are perfect for summer as well as winters or pretty much any season- guaranteed to help inspire your own gorgeous nail art. 1. 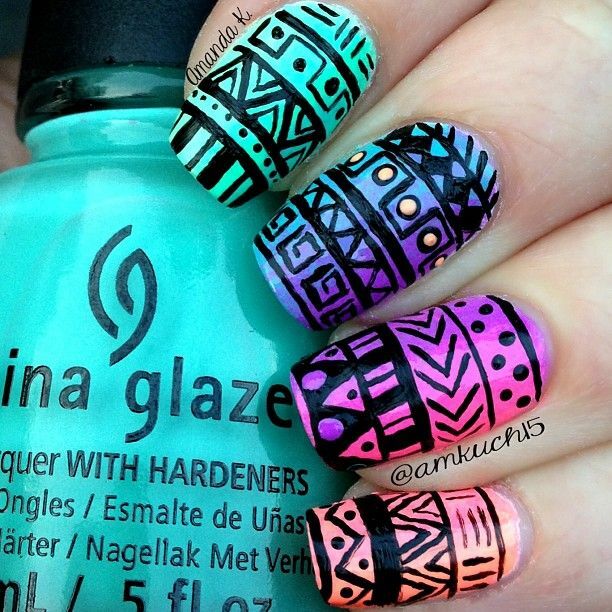 These tribal ombre nails are perfect for a day at the beach! 2. So many colours! Definitely drooling over this nail art. 3. 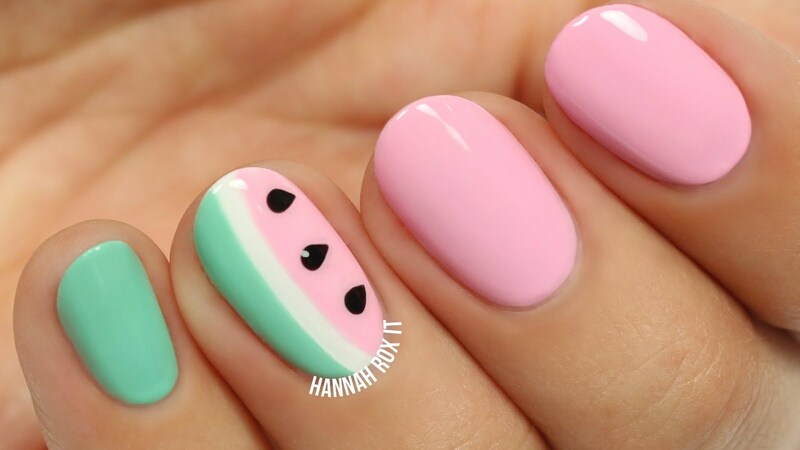 These watermelon nails are a perfect summer twist on the classic accent nail. 4. Mint is always a popular spring/summer colour. 5. 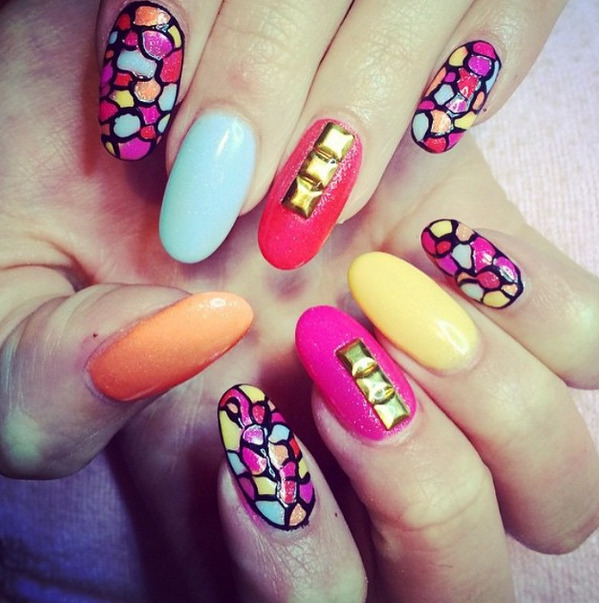 These beautiful nails are creatively colourful. 6. 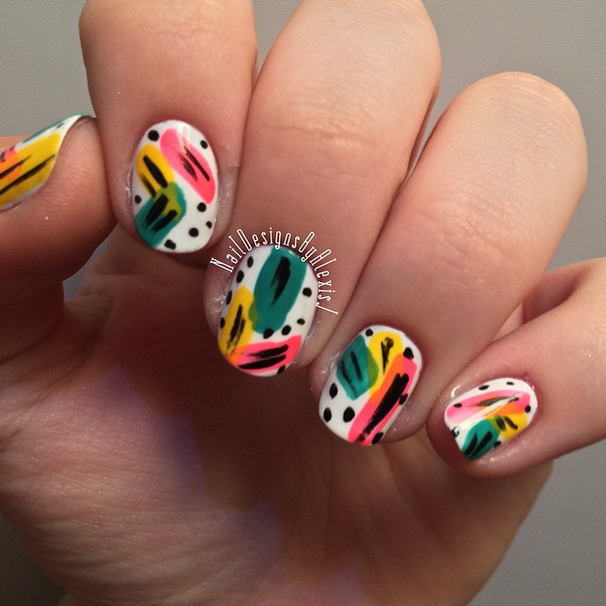 This abstract take on a classic french mani is creative and cute. 7. 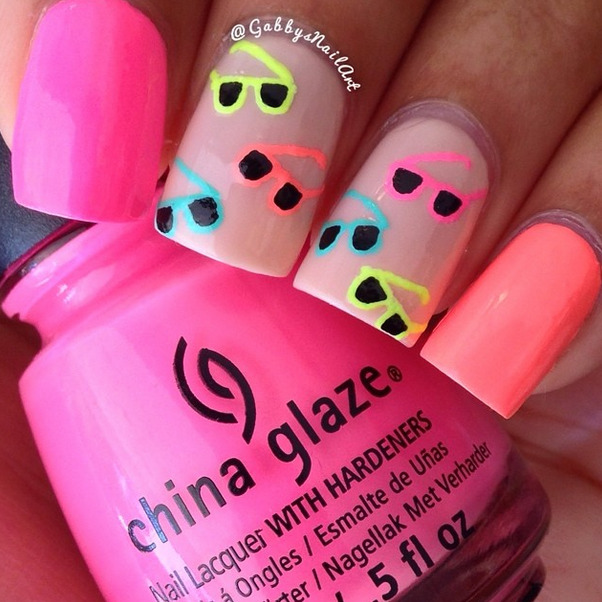 This is the perfect mani for a summer night out! 8. 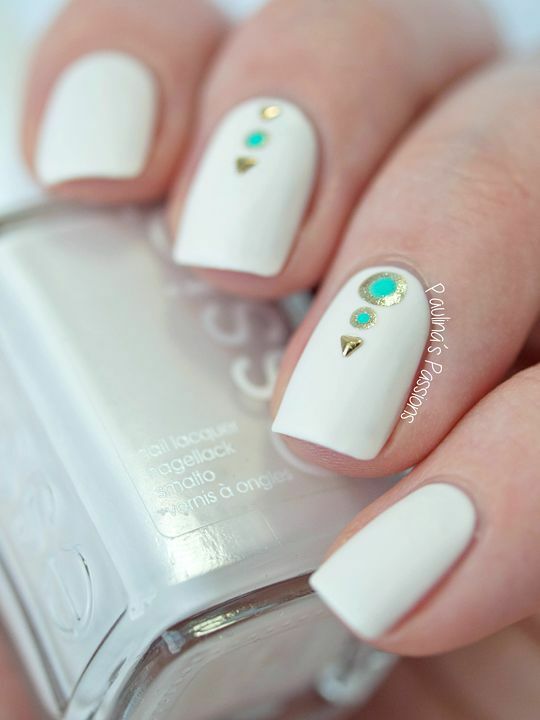 You'll never forget your sunnies at home with these cute accent nails. 9. 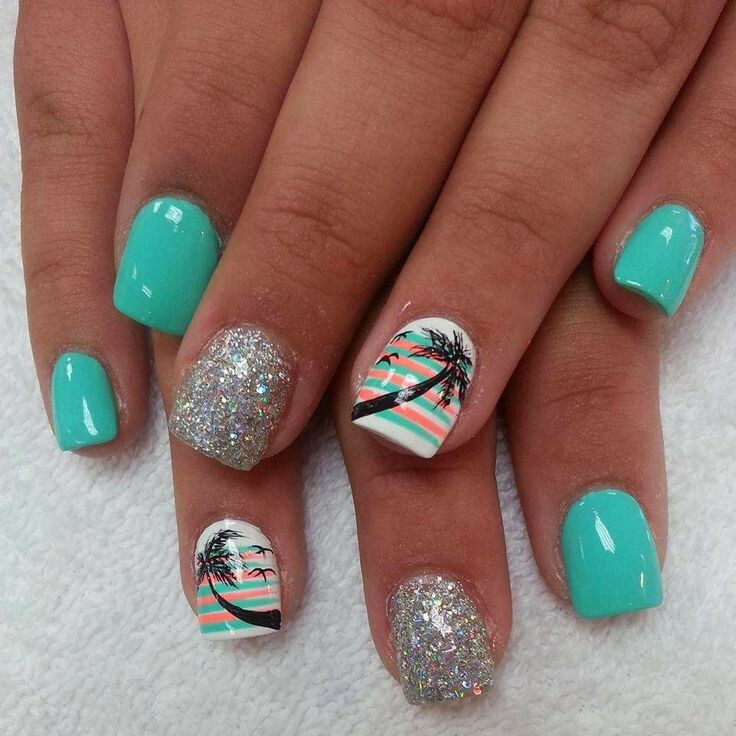 You'll be dreaming of palm-trees with these beachy nails. 10. Another creative take on the classic french mani. 11. This abstract design is reminiscent of a delicious summer Popsicle. 12. 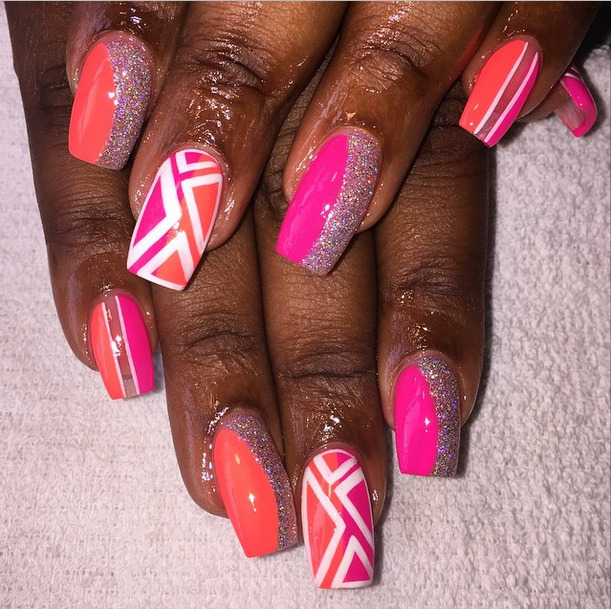 Accent nails don't have to be hard! 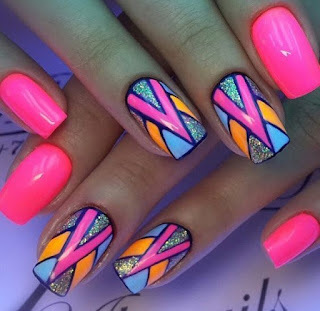 Try combining different nail colors to create a cool abstract accent. 13. 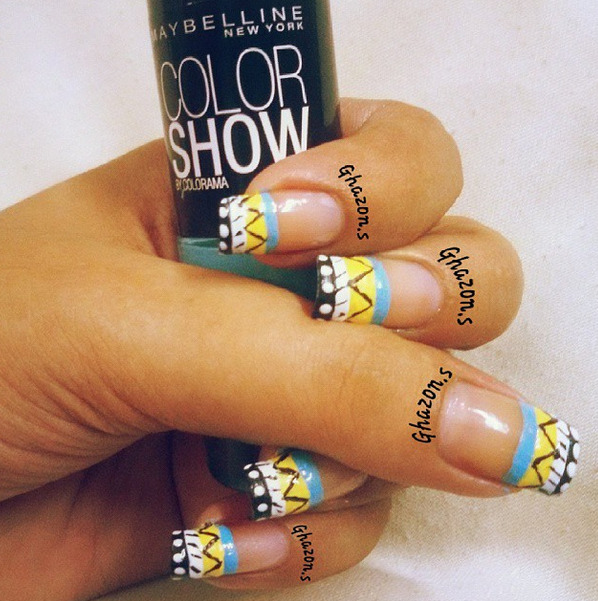 These pretty nails are simple and elegant.